CHARLES FRANÇOIS BOSSU (1813 – 1879) was a French photographer who photographed architecture, landscapes and the urban environment. He is much better known though as Charles Marville, the pseudonym he adopted around 1832. Marville worked as an illustrator of books such as Histoire Pittoresque de l’Angleterre and La Seine et ses Bords (the Seine and its Banks) before taking up photography around 1850. In 1858 he received his first commission from the Paris authorities, to photograph the renovated Bois de Boulogne − the first of Baron Haussmann’s modernising projects for Emperor Napoleon III. 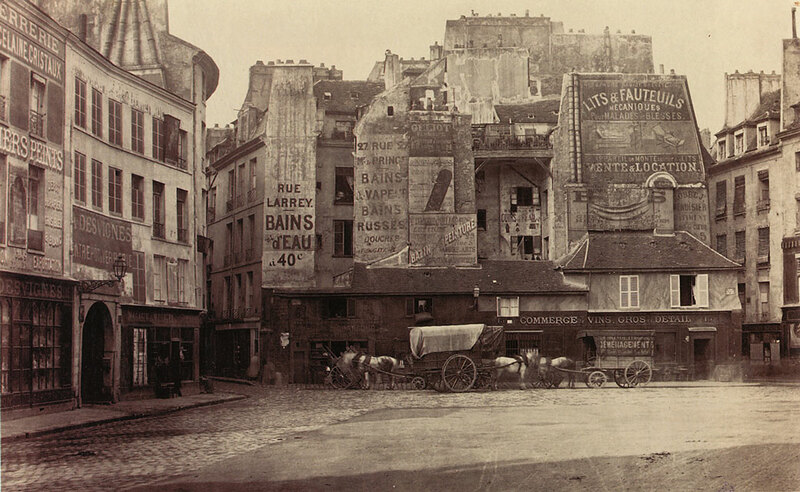 In 1862, Marville became the official photographer of Paris and he was commissioned to photograph the pre-modern city before its demolition. He made 425 photographs of the narrow streets and crumbling buildings, which collectively became known as the ‘Album du Vieux Paris.’ The complete series of photographs are held by the Musée Carnavalet and the Bibliothèque historique de la ville de Paris. One of Charles Marville’s photographs that fascinates me is one he made of Place Saint-André des Arts in the 6th arrondissement. 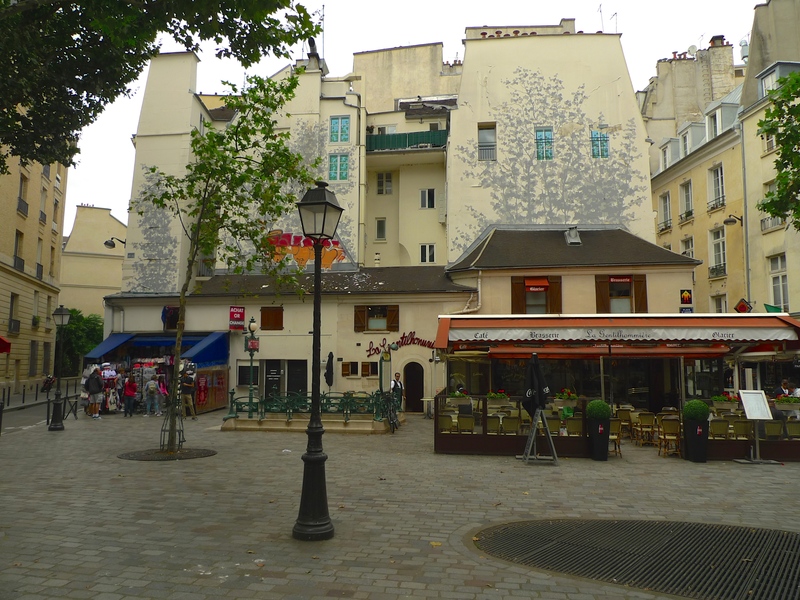 The remarkable thing is that, despite the destruction and reconstruction that occurred in the surrounding area in the 1860s, this little corner of Paris, which takes its name from the ancient church of Saint-André-des-Arts which was demolished during the French Revolution, remained completely untouched by Haussmann’s wrecking ball. Like Charles Marville and his successor, Eugène Atget, I too document the city of Paris, but in my case in sound rather than in pictures. Whenever I come across a photograph of a part of Vieux Paris that has survived almost untouched I can’t resist recording the contemporary soundscape around it. 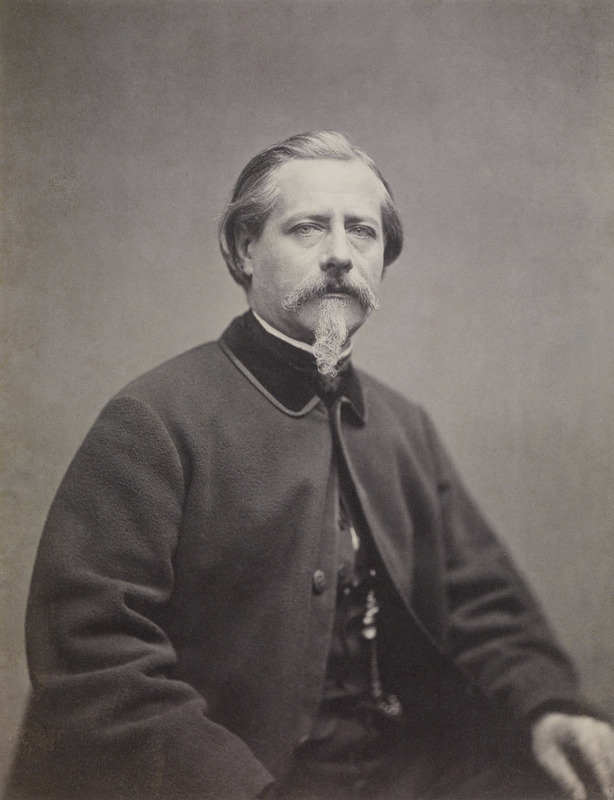 Charles Marville died in Paris in 1879. His ‘Album du Vieux Paris’ allows us to see Paris as he saw it before its late nineteenth century transformation and we can compare what he saw with what we can see today. But when it comes to the sounds of Charles Marville’s Paris we lack a reference point. There are no recordings of the urban soundscape of the time and descriptions of the sounds of Paris in literature during Haussmann’s transformation of the city are few and far between. So, while we can capture and archive the contemporary sounds of Paris we can, alas, only imagine the sounds that Charles Marville would have heard while he photographed Place Saint-André des Arts.